And while you’re there — take a look at all Deb has to offer on her site, including her short stories. 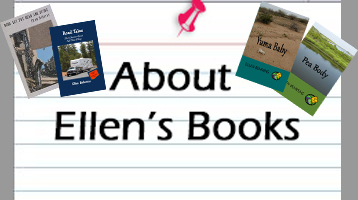 If you enjoy her short stories, you’re sure to love her novels, so don’t forget to browse the “My Books” page. And if you missed the terrific interview we did with Deb awhile back here at ellenbooks, take a look at what she had to say. Makes you want to take to the road and write, doesn’t it?